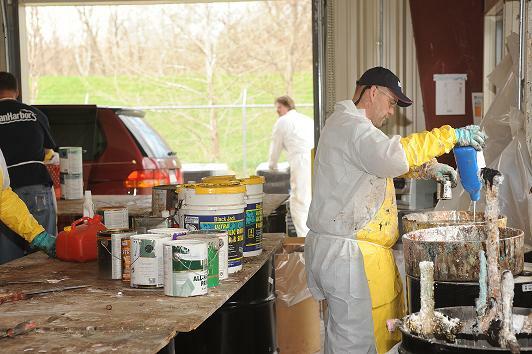 Schedule your appointment for our April 20, 2019 Household Hazardous Waste Drop-off event at the Tompkins County Recycling and Solid Waste Center. Household Hazardous Waste (HHW) is material that must be handled and disposed of properly due to dangers it poses to our health and the environment. To accommodate our communities needs for a safe method of disposal, the Tompkins County Department of Recycling and Materials Management offers special Drop-Off events at our permanent location to accept HHW from Tompkins County residents and qualified businesses and organizations that are Conditionally Exempt Small Quantity Generators (CESQG). PLEASE NOTE: Residents must have a valid permit and have an appointment to attend an event. You will need your solid waste permit number. Only one sign-up per household per Drop Off event.